Marine experts fear a dead porpoise that washed ashore on a beach may have been killed by a seal. Scientists suspect the porpoise was killed by a rival seal after it was found with gashes on its side at Nacton, near Ipswich, on Sunday afternoon. 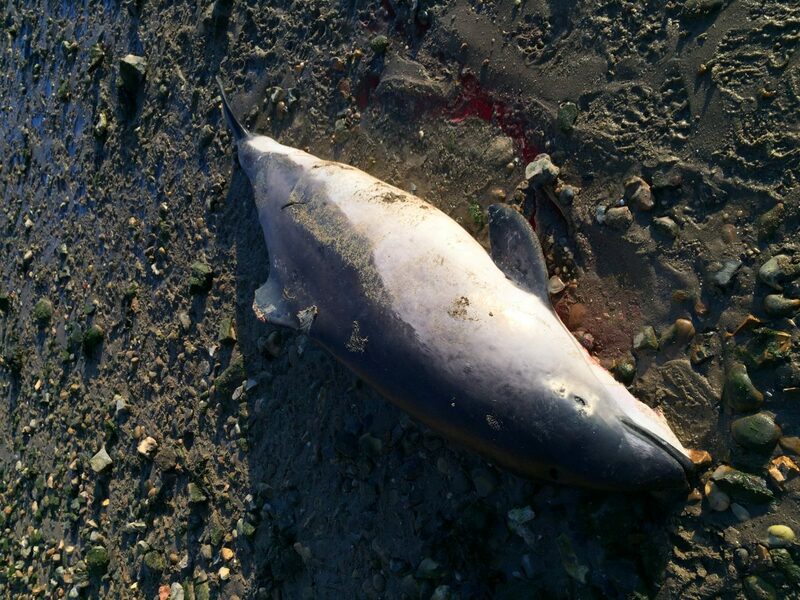 HM Coastguard have removed the porpoise from the River Orwell estuary for further investigation and a post-mortem will take place later this week. It is likely for the sea creatures to come in to contact in these waters as a colony of grey seals have made the Suffolk Coast their home. Rob Deaville, of the UK Cetacean Strandings Investigation Programme, said a seal could be the culprit. Mr Deaville said from the pictures he had seen there appeared to be injuries which may have been caused by a grey seal. The manager of the Zoological Society of London project said seal bites can become infected which can lead to death. 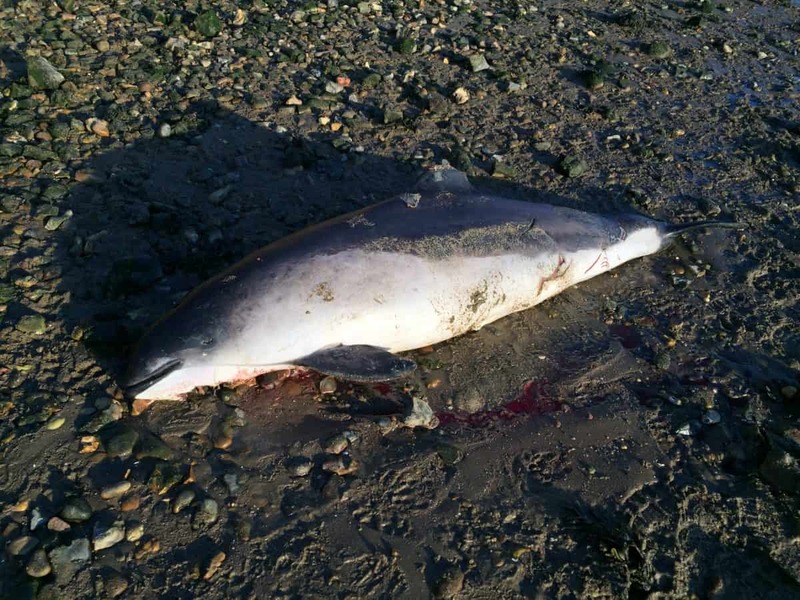 Ken Spink, 62, spotted the porpoise at the high tide mark while walking along the beach on Sunday afternoon. The driving instructor said: “I’ve never seen a porpoise washed up on the beach like that before. “It looked fine on the top but there was some damage on the under side. Porpoises, like swans and whales, are protected by the crown and belong to the monarch under UK law. Coastal patrols are therefore required to take photographs, teeth samples and skin samples of the protected animals for further investigations. The previous day, the Holbrook Coastguard Rescue Team was sent to Kirby-le-Soken in Essex to help divers save a porpoise that had got stuck in the mud at Hamford Water. Porpoise numbers have been falling rapidly due to a variety of threats including chemical pollution, high-speed vessels and fishing gear. Last year, a European court ruled that the UK has not been properly protecting its declining population of harbour porpoises. EU law requires the UK to create special sites to ensure the protection of porpoises, which are often sighted around coastal waters and at the mouths of estuaries.